Here comes the new hilariously inflated team fun! Missing a good idea for the team building? Would like to have fun with you friends? Change your mind about Soccer! Get to know a funnier and more amusing side of football. 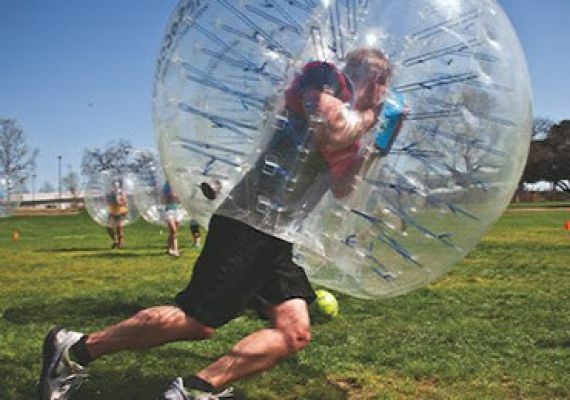 The Bubble ball is a new sport opportunity which is getting more and more popular between those people who loves to do sports. Of course ! Because you can pursue your favourite sport while you experince a funny, and entertaining game with your friends or with collagues. The rules of the game are the same as in a normal match, so you just need to score the soccer ball into the other team's goal. All is controlled by a referee who will never use yellow or red cards :) Every player wear an 1,5 diameter size ball, around the upper part of their body, which is totally safe during the whole game. 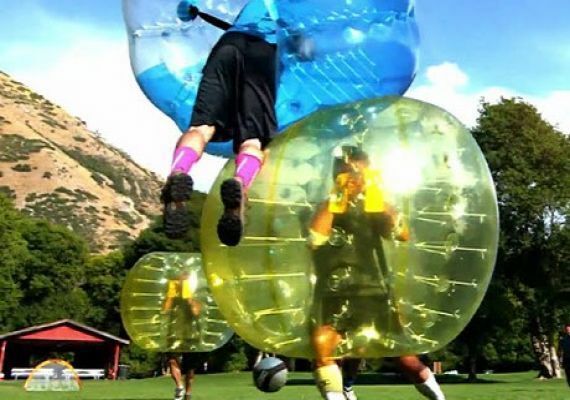 During this one hour program you will have a great fun because of the constant bumping between these large inflated transparent bubbles.